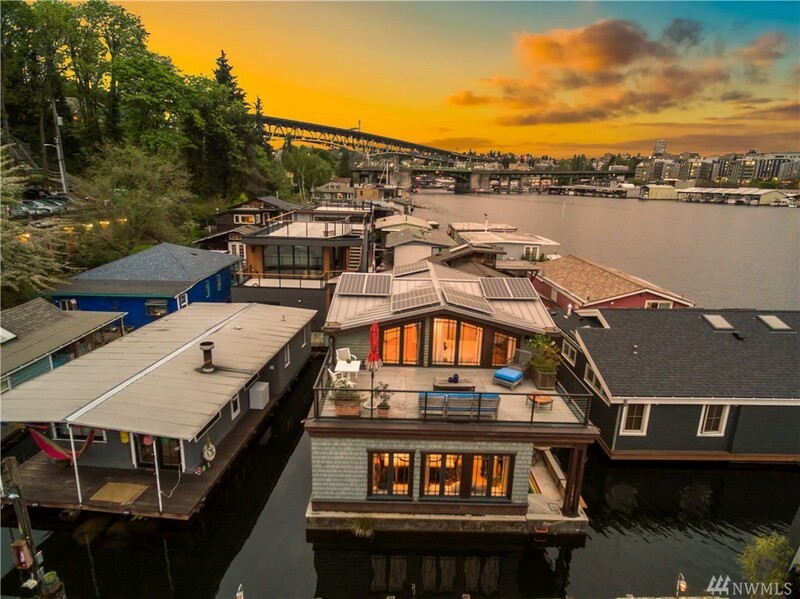 If you’ve been wanting to buy a floating home, it is now floating home season! 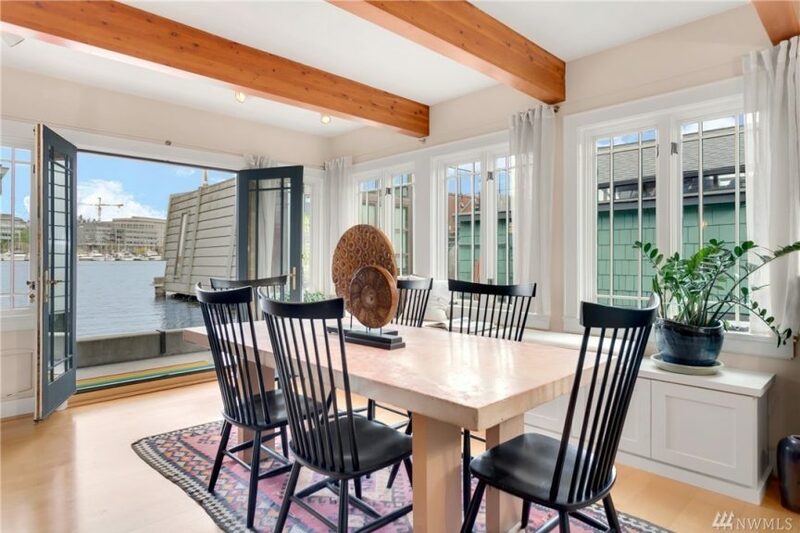 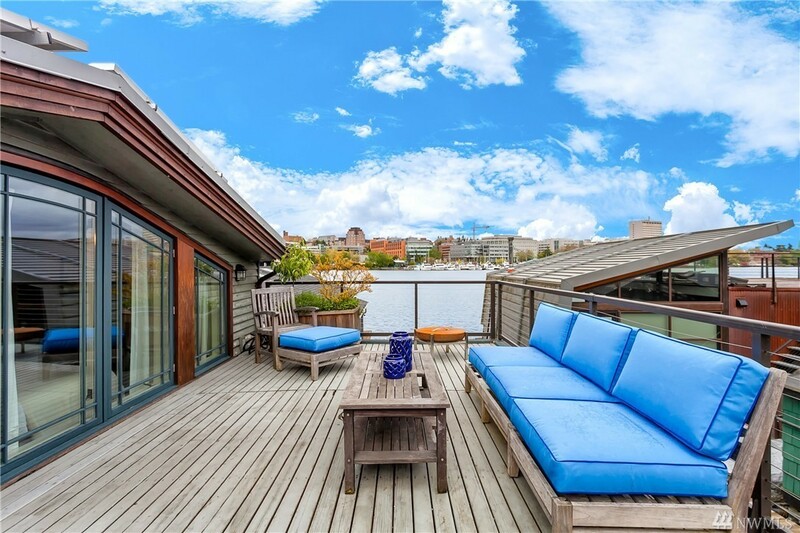 Another one, this one in Portage Bay at 3146 Portage Bay Place E has hit the water. 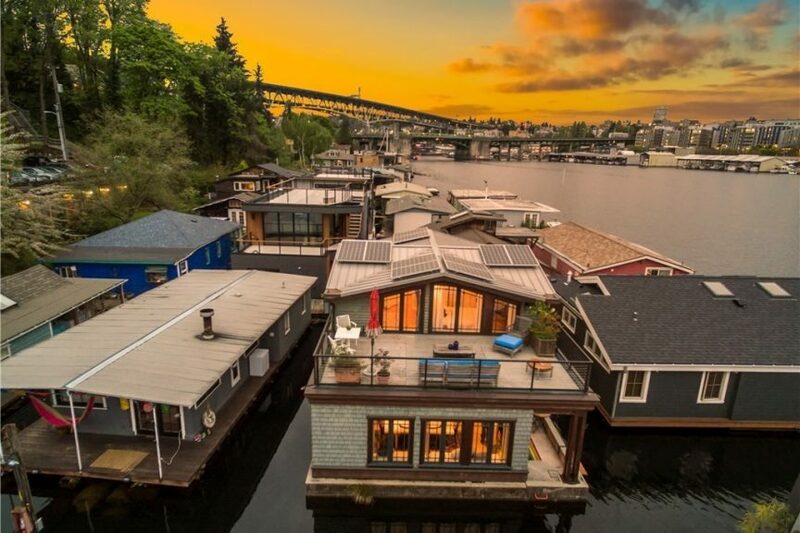 Three bedroom floating homes are rare, which makes this a find! 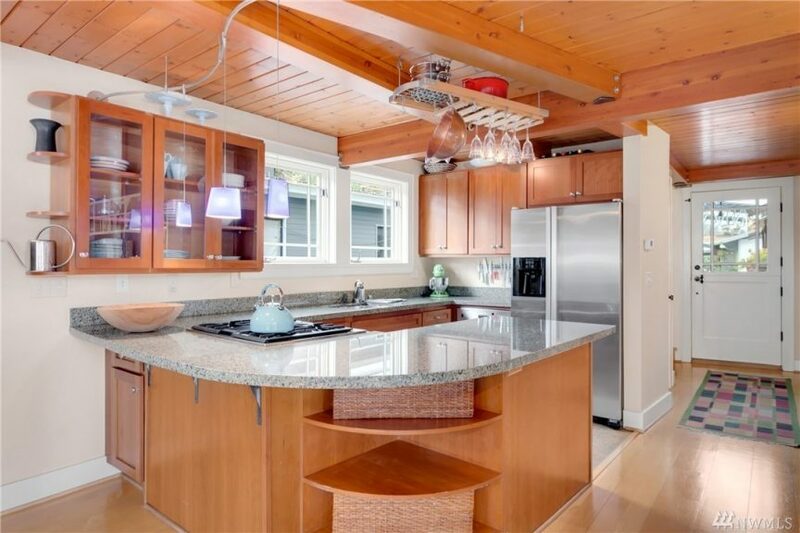 And even better is that it lives large for its square footage with an efficient floorplan. 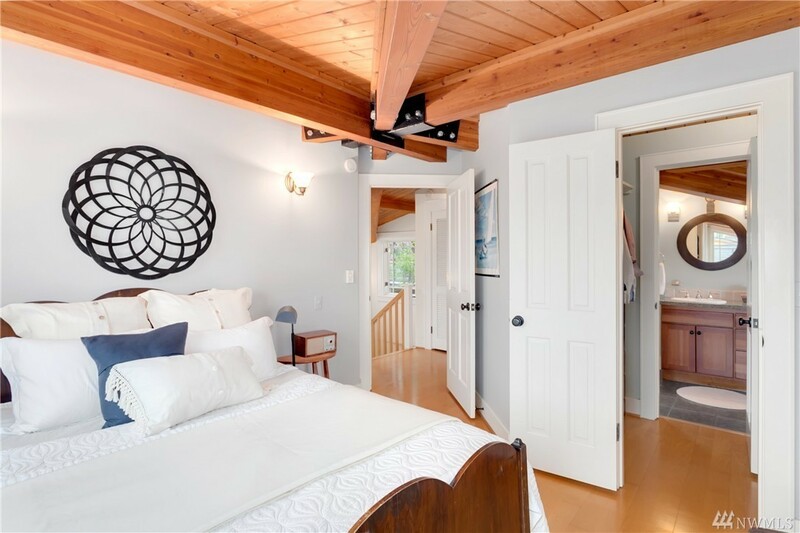 The main level houses the kitchen, living room, dining room and a bedroom. 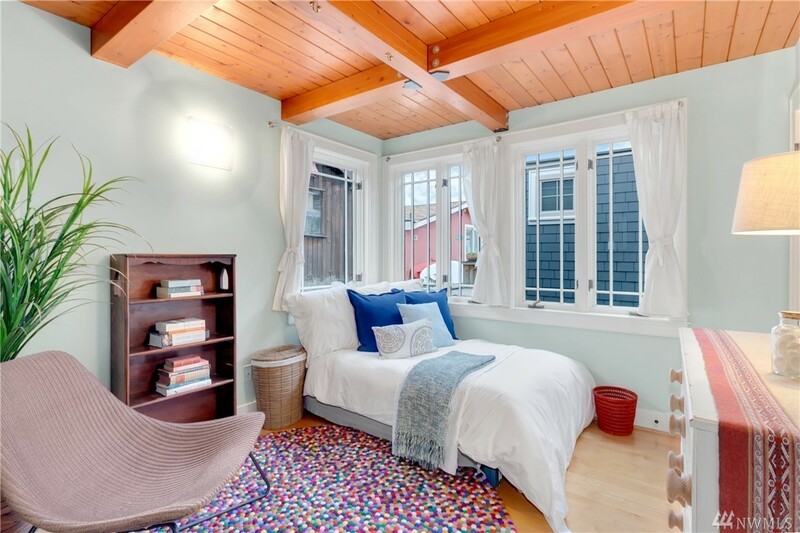 The upstairs has two bedrooms and a bathroom. 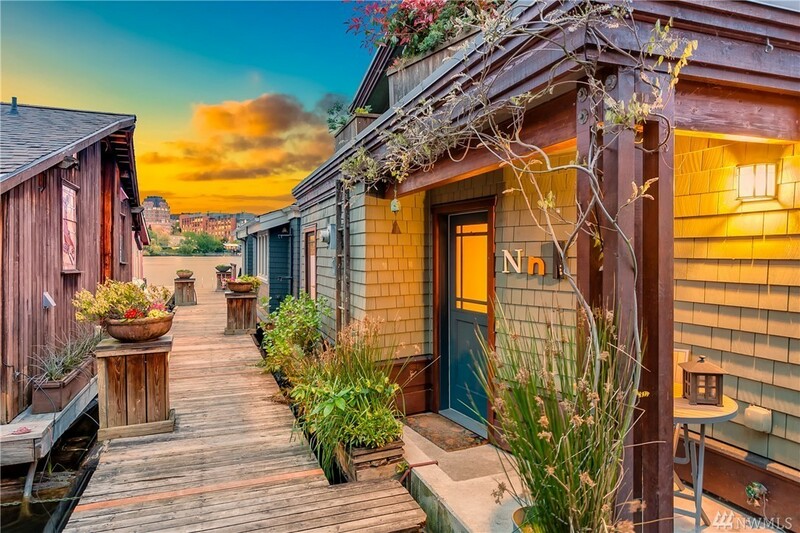 Access to the “rooftop” deck is via large windows in either of the bedrooms. 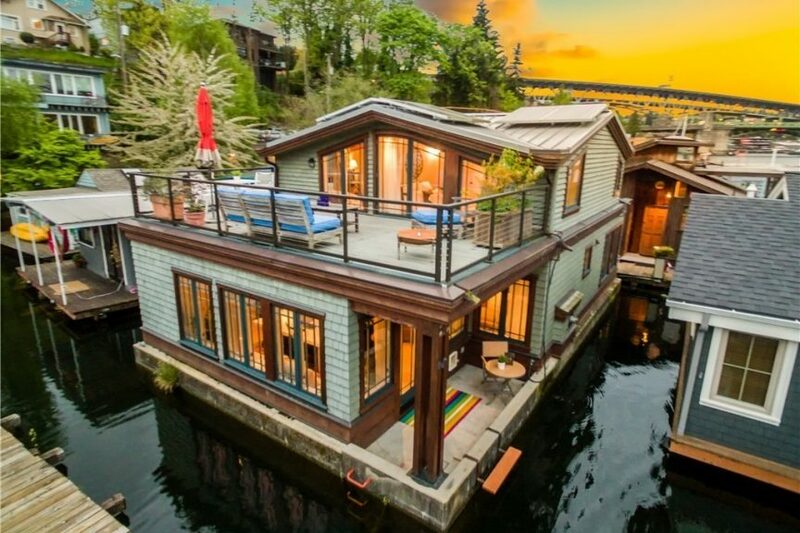 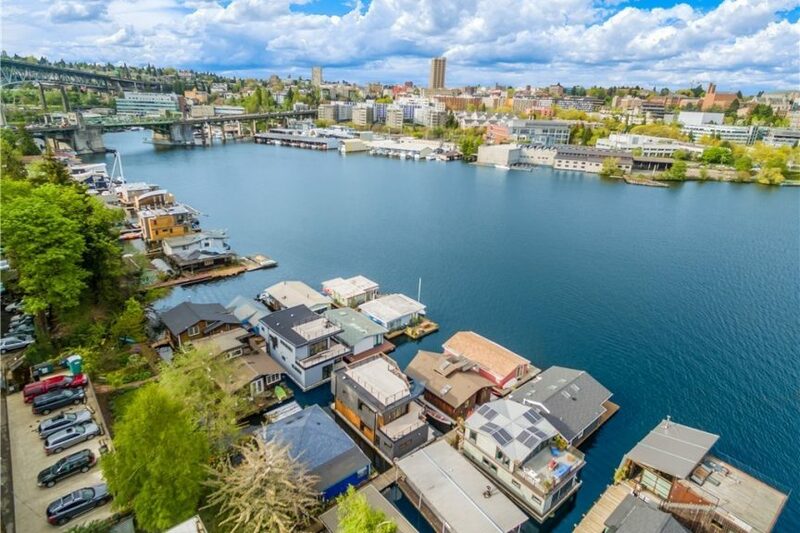 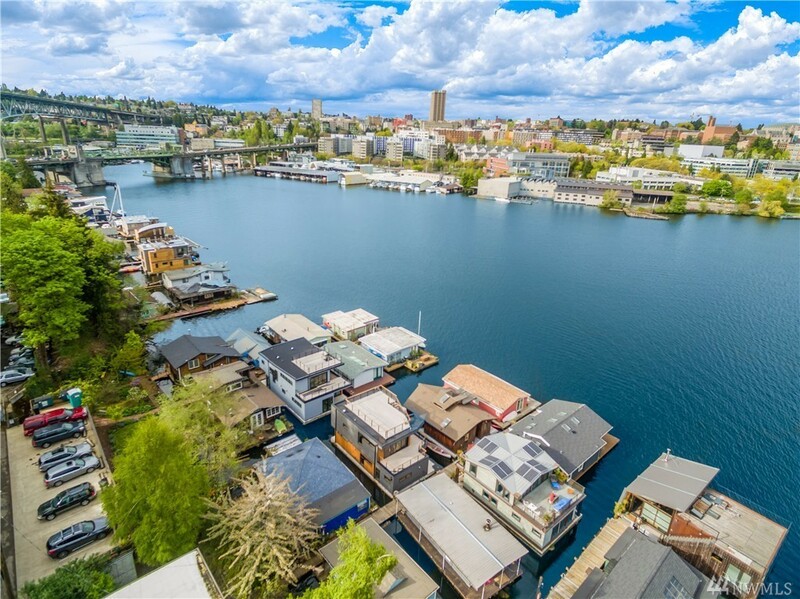 Nice bonuses with this home: parking spot, storage, concrete float (versus log float) and a view of the boat traffic on Lake Union. 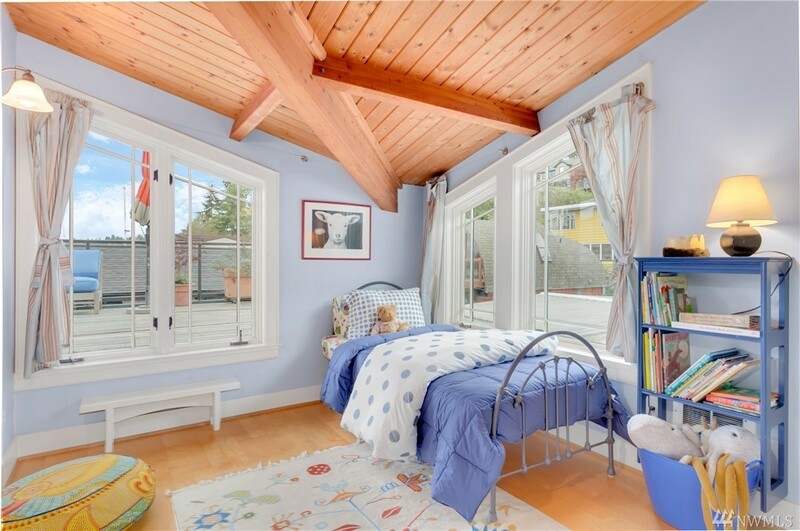 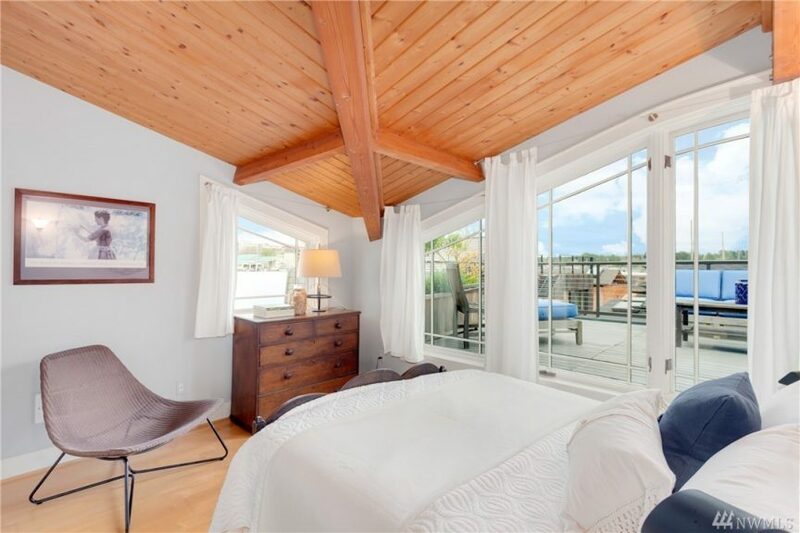 Listed at $1.35m it is 1,350 square feet with a parking spot and two storage units. 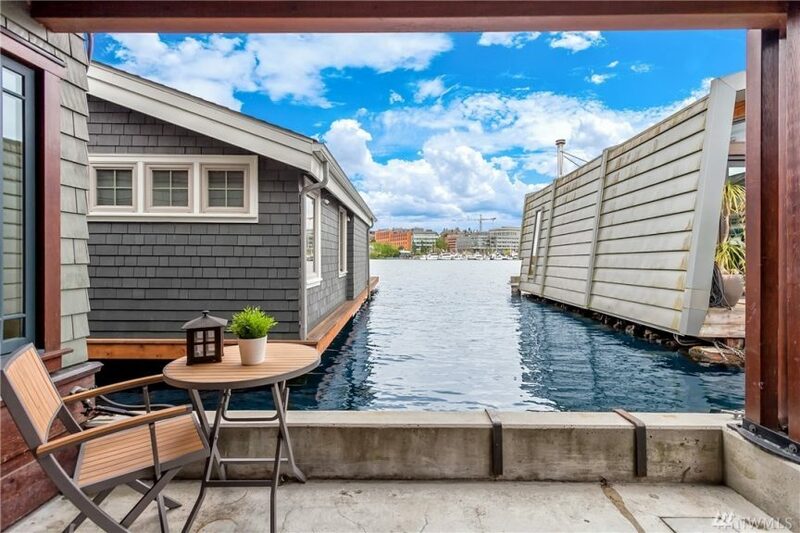 Pet friendly dock to boot. 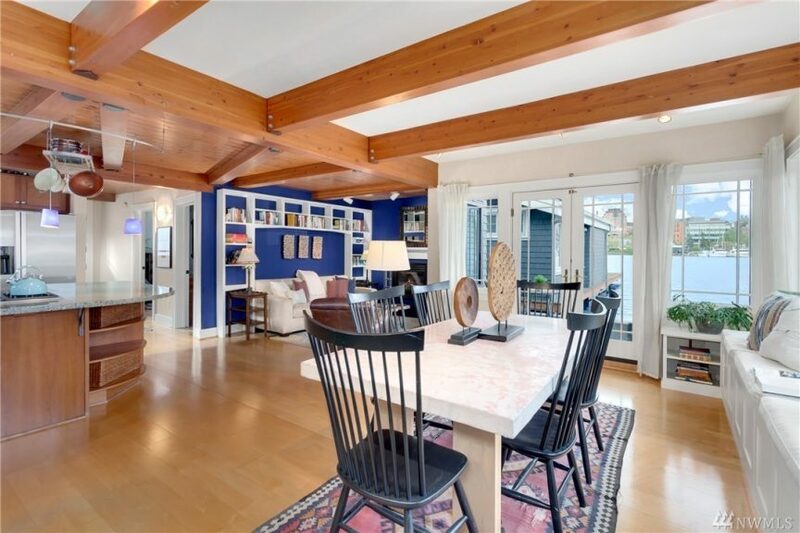 Listing provided courtesy of Melissa Ahlers, Lake & Company.